Home » Stocks » Office Depot Disclosure Challenged? 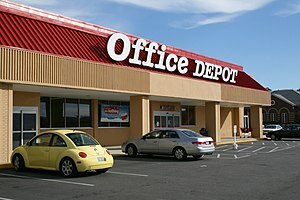 Office Depot (ODP) fired the chairman of their board and CEO, Steve Odland. It was the only plausible action available after the Securities and Exchange Commission found him personally guilty of breaking Reg FD. Watch for the shareholder rights lawsuits to come. The press release sounded like a tearful farewell. you know the board did not have their heart in it. Therefore what compliance culture will they have in the future? To distract investors from executive malfeasance or what could be described as very bad judgement in the executive suite, the board signalled earnings and just came out and said we will beat expectations. Desperate tactic so that the stock does not drop. Actually they got a nice initial bounce north of $5.00 and then watched the stock slide off. It is about the culture. Steve Odland was the head man for a long time. You have to believe his value system permeated the executive suite. Has all the cancer truly been removed? The competition is just licking its chops savouring an extra big lunch soon. Private Equity Capital is considering a take over because management is not that smart and needs a shake up. Heidrick and Struggles is doing the executive search for a permanent replacement. If they call you do you really want to go to lunch? This entry was posted in Stocks and tagged Office Depot, Steve Odland, U.S. Securities and Exchange Commission. Bookmark the permalink.